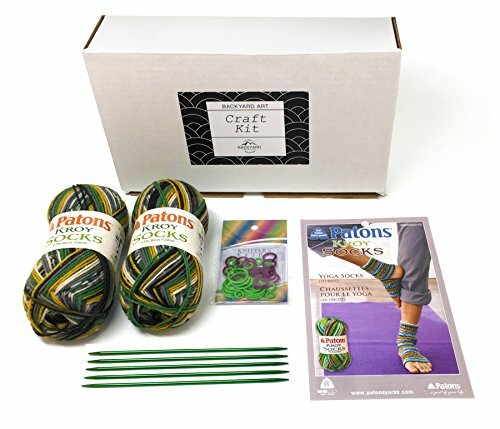 This Knit Kit has everything you need to create your own pair of yoga socks, including: A printed pattern, 2 skeins of Greener Pastures Patons Kroy Socks yarn, 5 Boye US size 3 7″ Doublepointed knitting needles, and 30 Knitters Pride Mio Stitch Markers. Just get to work when you receive it with no need for running around. Perfect weekend project kit. This yarn knits up into a unique jacquard pattern. The open heels and toes will provide you with traction while keeping your feet warm. A great personal project, but also makes for a nice present for friends and family. Knit them a pair or give the kit to your favorite yogini/knitter. It comes packed with Kraft paper sizzle for a special presentation. ABOUT THE YARN: Patons Kroy Socks is a 4-ply superfine wool blend yarn that’s perfect for socks; it’s easy care with the luxury of wool. 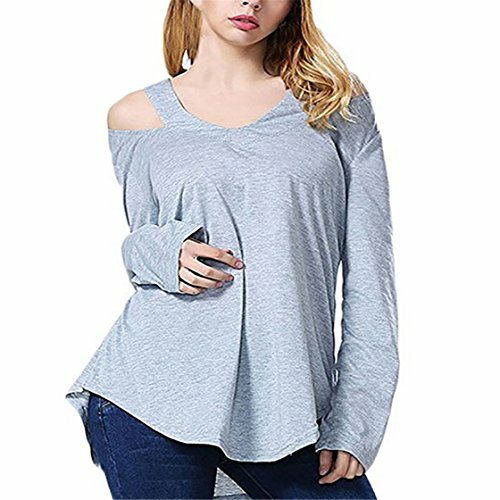 Content: 75% washable wool, 25% nylon. 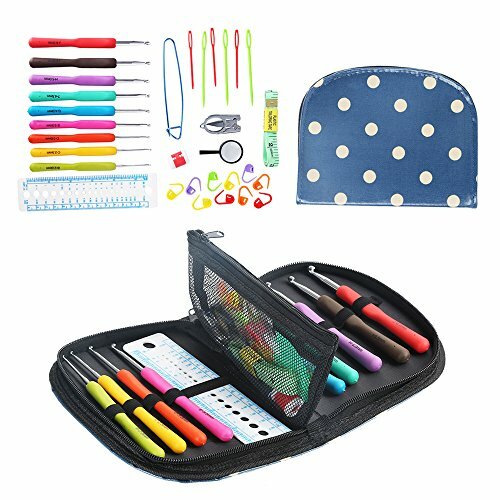 CRAFT KIT INCLUDES: A printed pattern, 2 skeins of Greener Pastures Patons Kroy Socks yarn, 5 Boye US size 3 7″ Doublepointed knitting needles, and 30 Knitters Pride Mio Stitch Markers. UNIQUE PROJECT: This yarn knits up in a jacquard pattern, which is a really nice look. The open heels and toe will provide you with traction while keeping your feet warm. 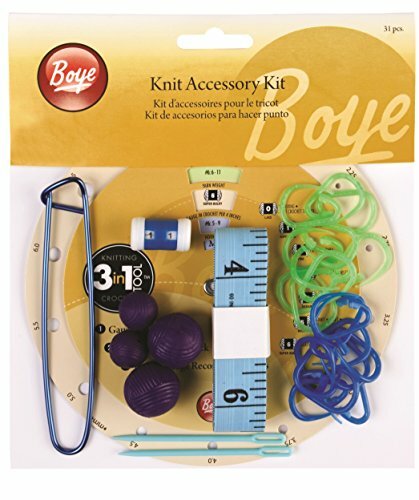 EVERYTHING YOU NEED: This kit has enough yarn for you to complete a pair of yoga socks, along with the needles, the pattern and the stitch markers. You can just get to work as soon as you receive it with no need for any running around. Perfect weekend relaxation kit. MAKES A GREAT GIFT: A great personal project, but also makes for a nice present for friends and family. 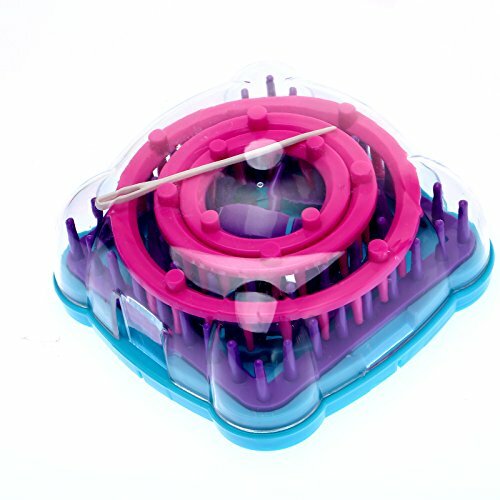 Knit them up a pair, or if they’re a knitter, this makes a nice gift. It comes packed with Kraft paper sizzle for a special presentation. ABOUT THE YARN: Patons Kroy Socks is a 4-ply superfine wool blend yarn that’s perfect for socks; it’s easy care with the luxury of wool. Content: 75% washable wool, 25% nylon.